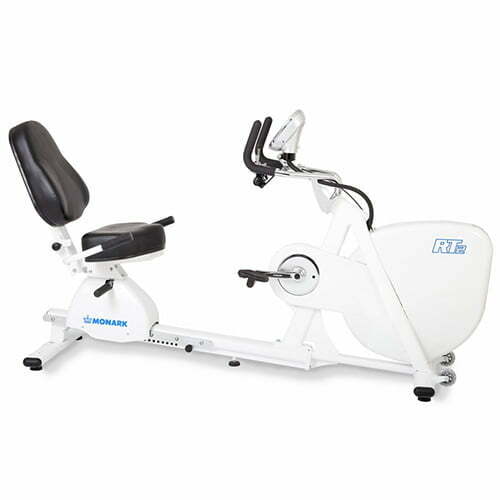 A recumbent ergometer for training and rehabilitation. The RT2 is especially developed to enable qualitative training for disabled patients who cannot sit or use an ordinary cycle ergometer. The backrest is adjustable as well as the seat, which has discreet backward lean. This, together with ergonomically positioned handles create a comfortable and stable cycling position with easy entry. The resistance control is easy-to-use and has fixed steps for instant and precise changing of the breaking resistance. The RT2 can be calibrated and needs no external power to operate.